On Friday, January 12, 2018, a small satellite named PicSat will launch in an attempt to make a big observation: watching an exoplanet passing in front of its star this year. (CNN) - On Friday, a small satellite named PicSat will launch in an attempt to make a big observation: watching an exoplanet passing in front of its star this year. The nanosatellite, about 2.3 inches in diameter, is the size of three apples stacked on top of each other and uses about 5 watts of power -- the same as an economical light bulb. It was designed and built by scientists and engineers at the Centre National de la Recherche Scientifique and Paris Observatory in France. It will study the Beta Pictoris system, 63.4 light-years from Earth. The Beta Pictoris star is very bright, but it's surrounded by a giant disk made of dust, gas and debris -- the leftovers of the star's formation. And to astronomers, this 23-million-year-old-star is quite young. The star was discovered to be orbited by a giant gas exoplanet in 2009, dubbed Beta Pictoris b. The planet is seven times more massive than Jupiter and orbits its star at the same distance as Saturn orbits our sun, though Beta Pictoris b orbits within the debris disk. If PicSat's one-year mission goes according to plan, the scientists could determine the exact size of the planet, its atmosphere and its chemical composition. In September 2014, the 30th anniversary of the star's discovery was celebrated at a conference in Paris. Scientists realized that the planet would pass in front of its star sometime between summer 2017 and summer 2018. It won't happen again for 18 years. And the planet will only actually be crossing in front of its star for a few hours. In order to observe the transit and narrow down the time when the planet would pass in front of the star, it would need to be monitored continuously. The scientists knew that was possible only from space, and decided to see what they could put together in three years' time. They didn't want to reinvent the wheel, PicSat principal investigator Sylvestre Lacour said. 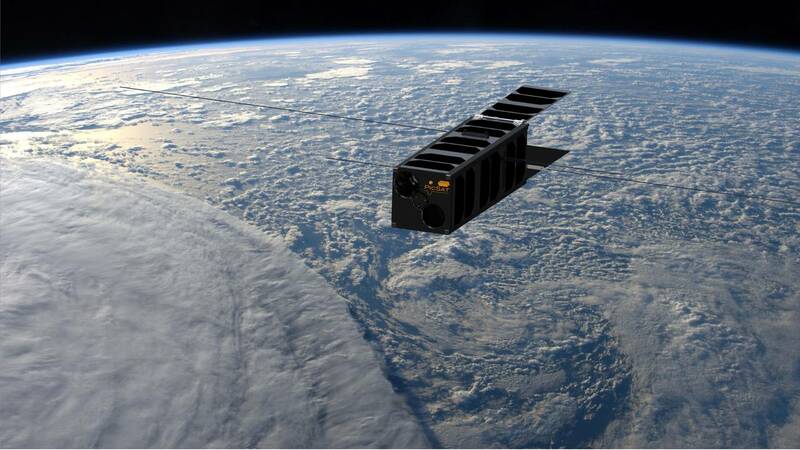 Instead, using the CubeSat structure developed in the United States largely for educational purposes, they focused on the payload. The satellite has a radio emitter and receiver, an onboard computer, solar panels and a telescope. CubeSats aren't the best when it comes to pointing accurately, so the scientists had to build their own system. On Friday, just before 5 a.m. Paris time, the PicSat and 30 other satellites will begin their trip on board India's Polar Satellite Launch Vehicle. The vehicle will place PicSat in orbit 313 miles above the Earth, where it will begin transmitting about an hour after launch. "It is exciting, but really frightening," Lacour wrote of the launch in an email. "So many things can go wrong. Once it is in space, there is no 'reboot button.' If the software crashes, if the antennas do not deploy, or if any subsystem decides that it wants to go on strike, the mission is over. All you get is a very expensive brick in space. This is the true difficulty of space." On top of that, Lacour said, there is the possibility that the planet won't pass in front of the star. If that is the case, the nanosatellite can still gather information on exocomets, of which they believe there are many in the Beta Pictoris disk. But he is hopeful about what they can learn if everything goes according to plan. Because the star is young, the planet is also young and still going through formation. Such an observation would be an incredible opportunity. Because we still do not know for sure how the Earth formed, seeing this process could give us insights about our own planet, Lacour said. And if the planet does pass in front of its star, the European Southern Observatory's telescope in La Sille, Chile, will also be activated in order to use its High Accuracy Radial Velocity Planet Searcher instrument. Those interested in following the mission as it unfolds can do so through the mission's website.